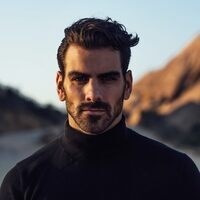 **SOLD OUT Nyle DiMarco won the mirror ball trophy on ABC’s “Dancing with the Stars” and was the last model standing on The CW’s “America’s Next Top Model". Now, Nyle DiMarco is winning over audiences as an influential leader and ambassador for the deaf community. Believing that his deafness is “an asset rather than a limitation,” Nyle builds a bridge between the deaf and hearing by shining a light on not only the struggles but also the triumphs of the deaf culture. Above all, Nyle shows audiences that with a sense of community, commitment to your goals, and belief in yourself, you can accomplish anything. This event is sponsored by the Student Programming Board (SPB). Tickets will go on sale starting on March 4th for UR Undergraduates only. Grad Students, Staff, Faculty, and the general public can start purchasing their tickets on the 5th. Doors will Open at 6:30 PM. Any unsold tickets will be made available for purchase for $10 at the door.